Just got back from the CVS and resting on the sofa. :) So far, so good. Now we just wait for results. We will updated you all in 2 weeks. Anyways, enjoy and more updates in the coming week. Big milestones this week. We are offically into week 12. YEAH! Almost at the end of the first trimester. I must say, 3 months have FLOWN by. We have 2 big appointments this week. First, back to our OB who we have not seen in 2 months. 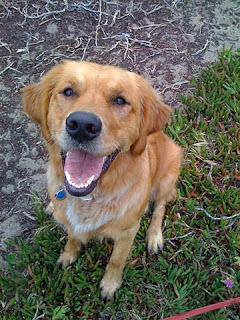 We have a list of questions and we are just excited to get her feedback on Gummy's progress. Second, we have the CVS. As I am over 35, genetic tests are mandatory, so we have our big one this week. We tried 2 weeks ago, but got denied. So hopefully all goes well on Thursday and we can get this test behind us. Test results take about 2 weeks, so I am sure we will all be a little on edge until those come back. We will keep you posted. As for the growing belly, here you go. These have all been taken in the AM when the belly is not that big. Gummy is now the size of a large plum. 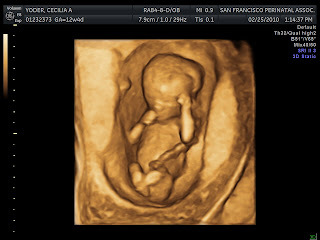 Hope to get more ultrasound pictures on Thursday. Wish us luck this week. When my friend Hilleri was pregnant she took weekly pictures of her growing belly. I thought it was such a cute way to see progress throughout her fun adventure. As we have so many family and friends that live far away, we thought this would be a fun idea! Check back weekly for the growing belly and Gummy updates. Its true! 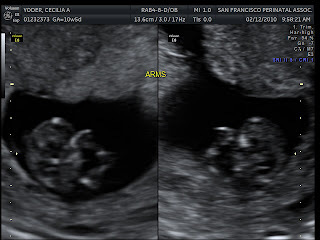 We are pregnant! 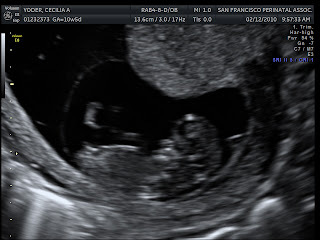 When we first found out, we were told it was the size of a gummy bear - ever since we have called it "baby gummy" :) We are both very excited!! 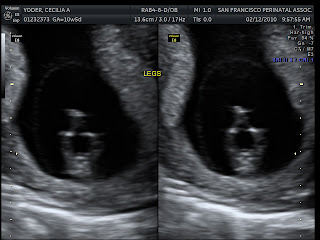 On 2/12/2010 (around 10 1/2 weeks) we had our second ultrasound. Gummy is about the size of a lime now. Here are some pictures and videos! So cool. Thats it for now! New information coming soon! Our first post - say hi to Mochi!